I´ve been passionate about sport my whole life. I´ve tried several different sports, especially racket sports. There´s something in squash, though, that got me hooked from day one. That day was over 20 years ago and sometimes I think of all the things squash has given me: unforgettable moments in tournaments and training sessions, good friends, lessons on winning and losing, a base for a healthy lifestyle, just to name a few. When you love something, you want others to have their share of it as well, so of course I´ve encouraged quite a few people to give it a go – and not a single person has regretted so far! As a matter of fact, many of them have become real aficionados and ended up training regularly and playing in local leagues. If you´re thinking of trying out a new sport but feel puzzled by the number of different options, let me give you a few reasons to have a go at squash. The threshold to start squash is very low: your age, gender or abilities don´t matter. The games and the equipment can be modified; for example, there are bouncy balls which make playing easier or, if you cannot play whole-court game, you can always do drills and conditioned games such as playing back court only, etc. – the options are unlimited. Squash will do good for your body and mind no matter whether you´re a professional athlete or a coach potato determined to start exercising. What you do in your free time has to be fun, otherwise you give up the hobby sooner or later. Don´t we all know someone who´s started fitness training or long-distance running with lots of ambition but quit the whole thing in a few weeks? Usually this is because they don´t really enjoy what they´re doing. They often concentrate only on burning calories or staring at the heart rate calculator, which most of us find anything but fun. 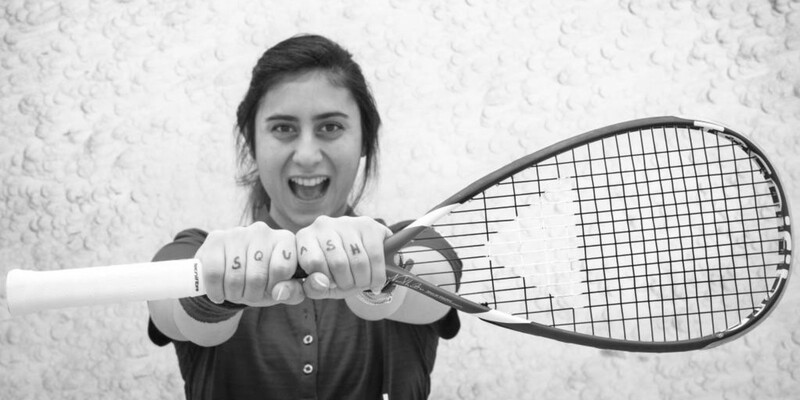 But I´ve never met anyone who says that squash is unenjoyable or boring. It´s so much more than just exercising: there´s technique, fitness and tactics involved. It´s a fast and demanding sport where you have to use your brain, and I´m pretty sure that when you´re on the court you forget about your never-ending to-do list. It´s needless to say that doing something fun with other people reduces stress levels and makes you feel happier. One of the best things in squash is its social side. I´ve had the opportunity to visit many countries and met mostly nice, friendly people in squash. Squash is, unfortunately, still quite a marginal sport in many countries, but the upside is that players form a friendly community which resembles a family. You can have a nice chat before the training session, talk with your partner when you take breaks, and you can have a drink together after the training. The social side is important in squash, it´s not just about the sport. There are also social tournaments where sport is more like a good excuse to get together and have fun. Squash has the reputation of being “the healthiest sport”. You work out the whole body with high intensity. Your legs, arms, abdomen and back muscles get toned. You leap, bend, stop and sprint which develops agility and do a favour for your heart and lungs: squash is proved to increase cardiovascular health. It´s also excellent training for eye-hand coordination and develops concentration. And a big plus is that it helps you maintain a healthy weight as you can burn round 1,000 calories in just one hour, and you´ll end up soaked with sweat. It has a reputation of being a killer sport, but as I said before, the games can be modified to suit all fitness levels and abilities. And the beauty of it is that it´s an excellent form of exercising and having fun at the same time. Got it - how to get started then? You can typically hire a court for 5-20 euros per hour, depending on where and when you play. Have a go with a friend or contact your local squash club if you don´t have a training partner or if you´re interested in a membership. You may also want to join a training group where you can get coaching and quickly improve your skills, or to take a few private classes to get started. As for the kit, you´ll need a racket, non-marking indoor shoes and a ball, and wear comfy sport clothes.